Democrat Martha Coakley has run into another flap with her state-issued car, as Republicans caught her state security detail parking in tow zones while she dashed to campaign fund-raisers. Videos shot by GOP political trackers show the attorney general, the state’s top law enforcement official, parked on two separate occasions in spots clearly marked as tow zones reserved for the Boston Fire Department. One instance occurred on Hereford Street, around the corner and in view of the Engine Co. 33/Ladder 15 firehouse on Boylston Street, which recently lost two firefighters in a deadly blaze. As attorney general, Coakley has a state trooper assigned to protect her at all of her events, not only those that are part of her office duties, and that trooper is responsible for deciding where to park. The Coakley campaign acknowledged use of the vehicle, and an aide did not dispute the fact that, in both cases, Coakley was attending fund-raisers at the Boston Tennis and Racquet Club on Boylston Street. “Like prior attorneys general, Attorney General Coakley has State Police protection and decisions relative to that protection are made by the State Police,” said a Coakley spokeswoman, Bonnie McGilpin. Procopio said that, at least in the first instance, the trooper driving Coakley sought permission from firefighters inside the firehouse before parking in the tow zone. A spokesman for the state Office of Campaign and Political Finance, Jason Tait, noted that candidates need not reimburse the state for security required of their current office. The videos were provided by a tracker paid for by the Massachusetts Republican Party, said Robert Cunningham, its executive director. The flap followed two other driving-related mishaps during Coakley’s campaign for governor. First, Coakley was unable to say how much tax the state takes on every gallon of gas (24 cents). Then, her campaign admitted that she had not reimbursed the state for the cost of gas and mileage for travel to campaign and political events in her state-issued vehicle since her unsuccessful bid for the US Senate four years ago. The Republican Party has filed a complaint with state campaign finance regulators seeking an investigation into whether she broke the law in waiting four years to repay nearly $11,000 in gas and mileage expenses for campaign events. 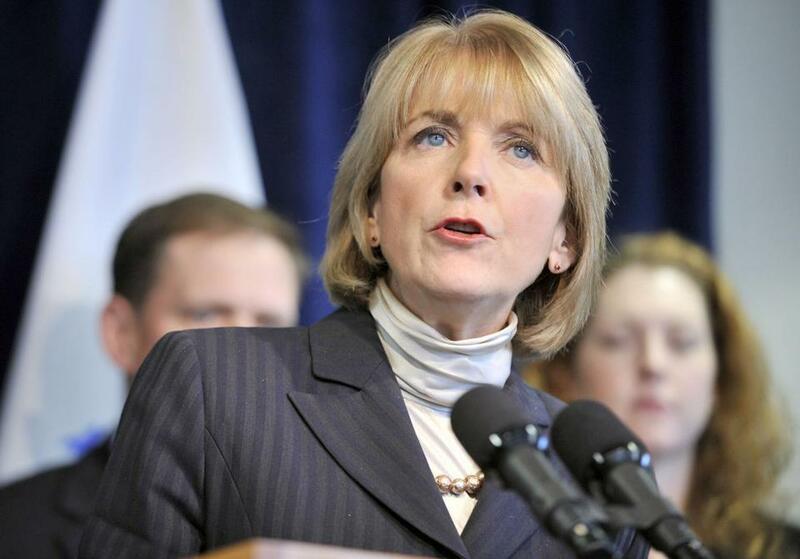 Coakley is one of five Democrats running for governor this year. Two Republicans, a Libertarian, and three independent candidates are also in the race. globe.com. Follow her on Twitter @Stephanie.Ebbert.